St. Jude the National Cathedral of the Church of Ireland in the Americas – Teaching the love of Christ and not the hate of the ages. Teaching the love of Christ and not the hate of the ages. Welcome to the Church of Ireland in the Americas. 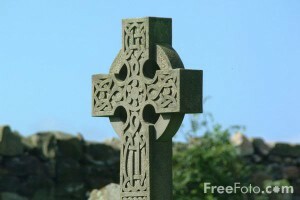 We are an Anglo/Celtic Catholic Church free of Rome,who believe strongly in community and affirmation of all peoples. If you feel you have been alienated, hurt, pushed aside or just plain unwanted in other churches, then we encourage you to come and worship with us. We are fully catholic in our identity though we are not under Rome. We adhere to the seven first Ecumenical Councils and the three Creeds. We offer the seven sacraments and other services as the need presents itself. Our goal is to renew the fellowship and faith of the first-century church – a time when believers gathered in homes, establishing real relationships with each other and with Christ – in an environment that is both sacramental and liturgical. Our goals include a path of continuing the doctrine and theology of the early church as well as promoting a deep and personal faith in Christ Jesus our Lord. You may contact our Patriarch directly at Archbishop William Higginbotham, OSB at 103 Turlington Dr., Apt D, Tabor City 28463. Our number is 910-653-3388 or you can email Fr. William at ourladyhelpofchristians@gmail.com. The Archbishop is also a Chaplain for the Tabor City Police Department and can be reached there on Wednesday afternoons. The number is 910 653 3149.